Whether you've just graduated from college, are ready to jump ship from your current job, or recently lost your position, finding employment can be a bit of a challenge as competition can be tight among the millions of candidates in the country. The good news is that there are many ways you can pursue to get hired. It is said that many vacancies are not advertised. This is what people refer to as the “hidden job market”. To land these positions, you will have to find a way to get your foot in the door. Even if you don't know anyone who has direct knowledge of a job opening, there is always the chance that they know someone who does. You can do networking both online and in person. You can aim to connect with individuals who work in your field or join professional associations. You may also use various online tools and social networking sites which allow you to meet other professionals and learn about possible vacancies. These are typically targeted towards particular industries, though some are more generalized. Adverts for these usually come with a list of organisations who will be present. Investigate any of the companies that interest you, bring several copies of your curriculum vitae, and be ready to sell yourself. Take any conversation with recruiters as practice for the real thing so you can be set apart from other candidates. Some organisations may even offer on-the-spot interviews if you match their requirements. Job boards were traditionally just bulletin boards posting employment opportunities and vacancies. Though some of these may still exist in a literal sense, many of them have moved to a virtual format. 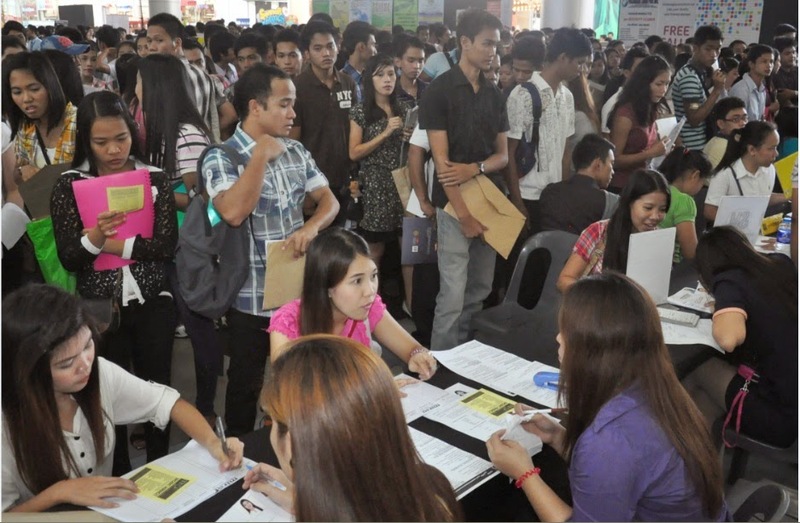 Even the Philippine government has an online job database that you can access. You may also use a vast number of career-related websites or job search engines, such as ph.jobsDB.com and Jobstreet.com.ph. These sites function in a similar way to traditional wanted ads, however, they allow you to go through a larger number of vacancies over a huge area and have a much quicker turnaround time. If you are in need of expert help with your job hunt, head hunters can definitely lend a hand though it often comes at a price. There are a number of organisations who hire through recruiters because it helps to streamline the lengthy process of finding and interviewing applicants. Employment agencies find a suitable position for a job seeker who has paid for their services or locate candidates to fill a specific vacancy within a company. Payment is often based upon commission. There are some schools that have these types of services to help new graduates and alumni to develop their resumes and assist them in their search. If you already have a dream employer in mind, why not go directly to the career section of their site? If you watch for vacancies on their website, there is a chance that you'll find the opportunity that you've been waiting for. Create a list of companies that you'd like to work for and visit their sites often. If you're really set on working for a specific organisation, it will take some time to find a suitable opening that fits your skill set. However, if you have the luxury of time, this might be the optimal method for finding your dream job. In the modern job hunt, finding the best openings often requires a combination of methods. These all come with their own weaknesses and strengths so don't be shy to experiment with them. Raiza Pepino is a freelance writer for Regus in the Philippines, one of the leading providers of flexible workspaces in the country. They not only have serviced offices but also meeting rooms and business lounges for rent. You can check her out at Google+ and Twitter.